KMid plays MIDI and karaoke files to hardware MIDI devices or software synthesizers. 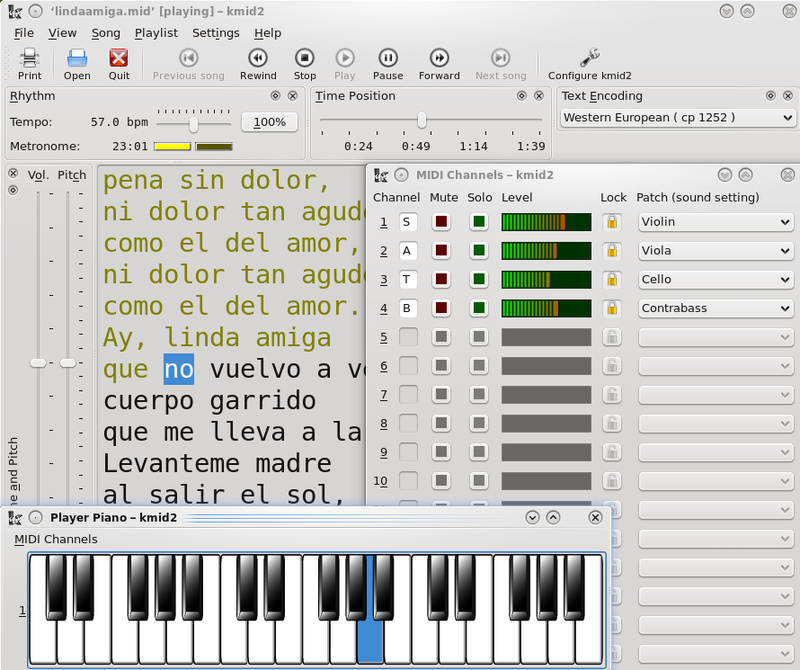 It supports playlists, MIDI mappers, tempo (speed), volume and pitch (transpose) controls and configurable character encoding, font and color for lyrics. The graphic views include a rhythm view (visual metronome), a channels window with solo/muting controls and instrument selectors, and a piano player window (Pianola). Posted by Christine McCoy on Sun, 12/09/2012 - 07:25. I have downloaded the zip file - I don't know how to combine the files into "one" for the applications file to open the program. Please help. For novice users, instructions would be great.